MEDICINAL POETRY WITH NIEMA LIGHTSEED IS HERE! Today’s the day I get to introduce you to Niema Lightseed, one of the most gentle, soulful, and authentic women I know. Niema’s course, Medicinal Poetry: Using the Healing Art of Writing to Activate Your Inner Muse is the very first offering featured in The Collective, and it feels like the perfect way to kick off this new collaborative adventure. Like I mentioned earlier this week, I’ve been dreaming of supporting other women to bring their creative genius to a larger audience for years, and I’m so excited it’s finally happening. If you’ve ever had the slightest inclination to write poetry, I can’t recommend Niema’s course enough. 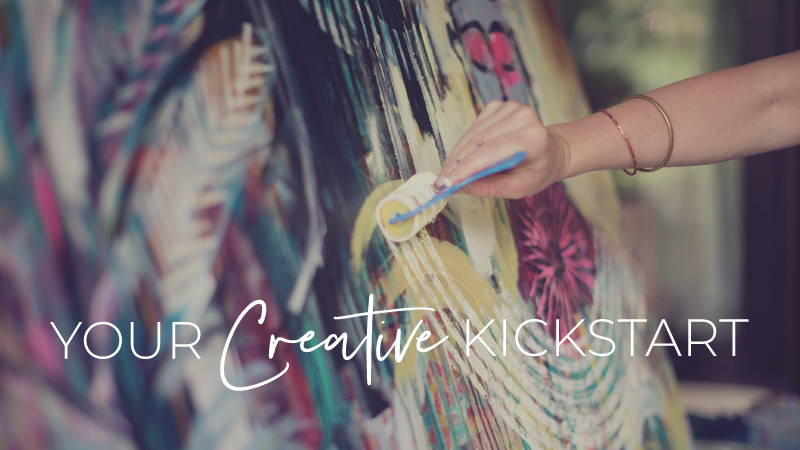 It’s a beautiful blend of freeing your creative voice, while honing your technical poetry writing skills (much like Brave Intuitive Painting!) and Niema is a beautiful teacher. I know you’re going to love her. Medicinal Poetry includes seven professionally shot videos, unique creative exercises, audio tracks, a custom playlist, inspiring links, a private online community, and lots of loving encouragement. Niema also weaves her own poems throughout the course, and they are absolutely moving. Head on over to my website to find out all the details about Medicinal Poetryand get a chance to meet Niema in the videos below. Here’s to collaboration, creativity, and lifting up our voices in the year ahead.